Testosterone enanthate is an injectable steroid in an oily solution, designed to release testosterone slowly. It has a long duration of action is 2-3 weeks. In medicine is the most prescribed drug on testosterone. 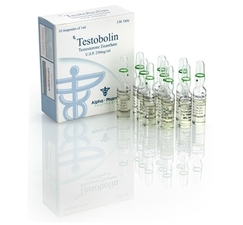 Testosterone is a powerful hormone with many potential side effects, most of them due to the fact that testosterone tends to convert entirely to estrogen. Water retention will be visible fairly quickly, and will observe the accumulation of fat. 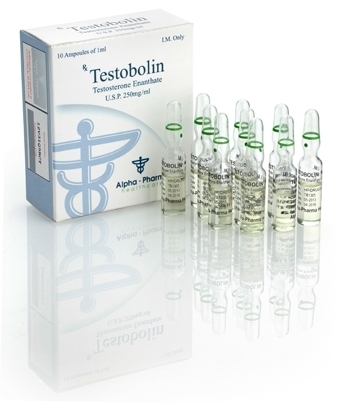 It is therefore not a steroid that is used when you want to define or before competitions. There is also the risk of developing gynecomastia. Therefore we recommend the addition of Nolvadex and / or Proviron during the cycle. An even better choice is Armidexul, but it is quite expensive preparation.